OVERVIEW. Humans have manipulated ecosystems to keep pace with demands for clean water, food, fiber and fuel. Research in the Peralta Lab seeks to understand how land use change influences microbial community structure and function. Land use history can positively or negatively influence ecosystem services, and the strength and outcome of these legacy effects may be variable due to the persistence of microorganisms and environmental changes from previous land use. 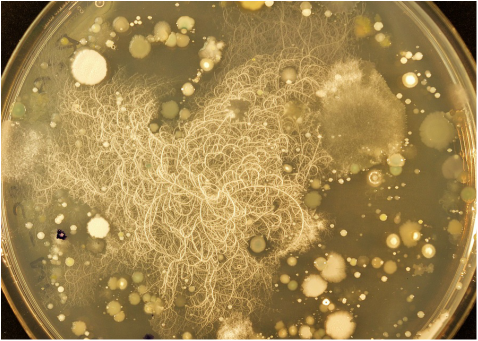 We use a combination of molecular- and culture-based approaches to characterize microbial communities and field- and lab-based methods to assess microbial structure-function relationships. Our research informs how microbial functions can be managed to enhance water quality, nutrient cycling, carbon sequestration, biodiversity, and crop production. We use interdisciplinary approaches to study microorganisms in coupled socio-environmental systems. ﻿﻿We are examining the response of microbial community structure and function across long-term nutrient gradients in terrestrial and aquatic systems. At coastal field sites, we also examine interaction of nutrient, carbon, and salinity gradients on microbial community structure and function. We use a combination of field observations as well as field and lab experiments to examine how microbial communities shift in composition and function (e.g., greenhouse gas production, nitrate removal, decomposition) under contemporary environmental stressors (e.g., drought, salinity). We are investigating how land use legacies influence soil microbial seed banks and contemporary specialty crop production. We use a combination of field surveys and laboratory experiments to test microbially mediated mechanisms contributing to plant health as a consequence of land use history.